Turkey hunting (and eating! let’s not forget eating people, my favorite) season is upon us in the great state of Texas. Whether or not you hunt turkey in the spring, or fall, like we do, these turkey hunting tips can be used nationwide. We don’t state discriminate. We’ll run through a list of the top tips we could round up for you. Unlike deer, which we write about extensively, smell isn’t an issue when it comes to turkey hunting. Turkeys can’t smell you. They can see you. They know what you look like and they aren’t going to deal with it. So for turkeys what you really need to mask is your body, not your scent. There are a variety of turkey calls that turkeys will respond to. And there are many websites where you can listen and practice. One such website is http://www.nwtf.org/for_hunters/hunting_tactics.html They break down what the calls signify and they have handy audio clips for you to pause and play. A good rule of thumb (if you can practice it), is to stay out until you hear that pre-bed cackle. Locate your toms before you head in for the night and the next day’s hunt. You’ll know where to put tip 5 into action. You didn’t stay out late for nothing. If you are going to set up decoys, be smart about it! Make it clear to other hunters it is a decoy when you are setting up and decked out in your camo gear. If you aren’t going to be walking or belly crawling during this next hunt, find a nice cozy spot with your back up against a tree to set up shop and wait the toms and hens out. 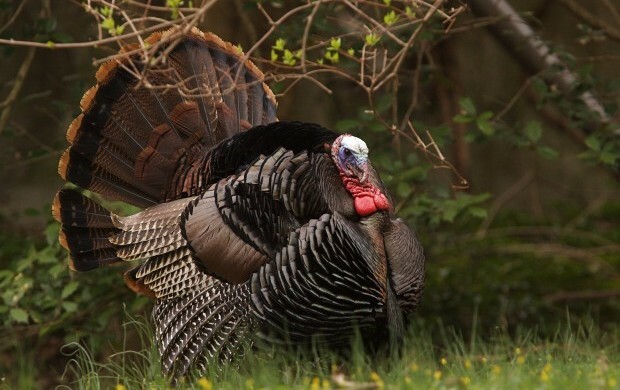 Hopefully we’ve given a little bit of new information, or maybe something you just needed to read again, to help you gear up for turkey hunting season in Texas! Happy hunting.